MANILA, Mar. 22 (PNA) -- Lawyer Oliver Lozano has asked the House leadership to call for a special session of Congress in April to tackle the impeachment case he filed against Vice President Leni Robredo. During a media forum on Wednesday in Quezon City, Lozano said Speaker Pantaleon Alvarez should already initiate the impeachment process against the Vice President through a special session at the House of Representatives. “I sent a request to Speaker not to wait until May… This impeachment can be done in April if there is a special session,” Lozano said. 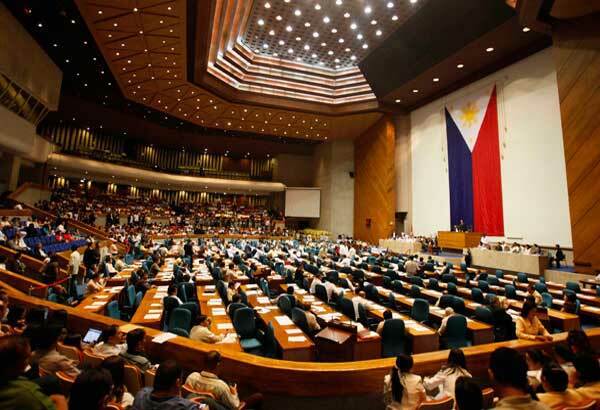 Lozano expressed confidence that the Robredo ouster move will prosper in the lower chamber, noting that there are at least a hundred congressmen who will support the impeachment try against her. A vote of at least one-third of all the members of the House is necessary before it can be transmitted to the Senate for trial. "There is a sufficient number of representatives that will favor the impeachment… There are 100 representatives already," Lozano said. "There’s no such thing as a weak or strong impeachment complaint. Impeachment is a numbers game,” he added. Lozano described Robredo as a “thorn” that hampers the Duterte administration’s pursuit of radical change. "These dishonest and disloyal misrepresentations of the Vice President have shamed our country," Lozano said. On Monday, Lozano, together with perennial senatorial candidate Melchor Chavez, delivered a copy of their impeachment complaint to the Speaker’s office requesting for proper endorsement. A complaint filed by any citizen should get the endorsement of a sitting congressman before it will be referred to the House committee on justice for hearing. Lozano is a known serial impeachment filer who filed impeachment complaints against former presidents Gloria Macapagal-Arroyo and Benigno Aquino III. In their complaint, Lozano and Chavez cited betrayal of public trust and culpable violation of the constitution as grounds for impeachment against Robredo. They explained that Robredo allegedly committed acts of injustice stemming from a video message she sent to the United Nations Commission on Narcotic Drugs where she criticized the conduct of the administration’s anti-drug campaign. "She (Robredo) betrayed the people by shaming the nation with her dishonest message to the United Nation," the complaint read.